Web development and design, SEO, SEM and Digital Marketing. 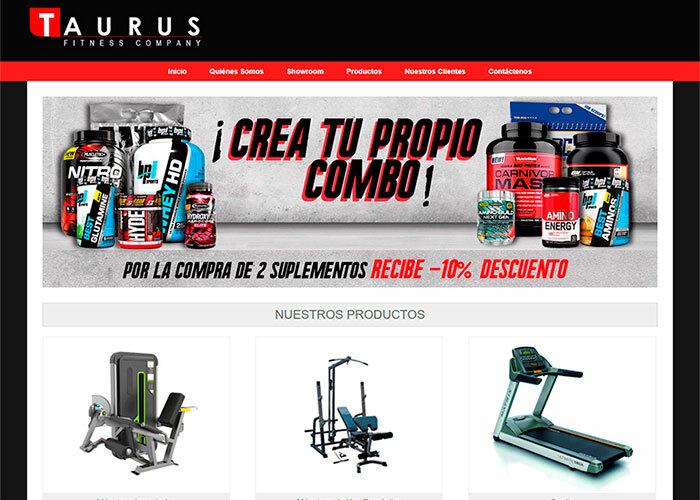 Taurus Fitness Company incorporated in the year 2000, had become one of the most important manufacturers and importer of gym equipment and products in Ecuador, upon its association with Peruvian leader Gold Fitness, today is considered one of the main dealers in the South Pacific Coast. They approached Dkbyte in 2013 with a fuzzy idea of what they needed, all they knew was they were ready to take the next step and felt ready to use the internet to promote and offer their products and equipment. DKByte teamed with Taurus to turn an informational website that prompted the prospective clients to visit them onsite in a virtual catalog showing different categories of equipment and fitness supplies which are selected online and added to a cart to request a quote and/or additional information. Taurus sales’ increased geometrically and surpass their annual sales record. To support the effort, virtual marketing campaigns and SEO were implemented and tuned for social networks which generated loyalty of a group of recurrent monthly users.